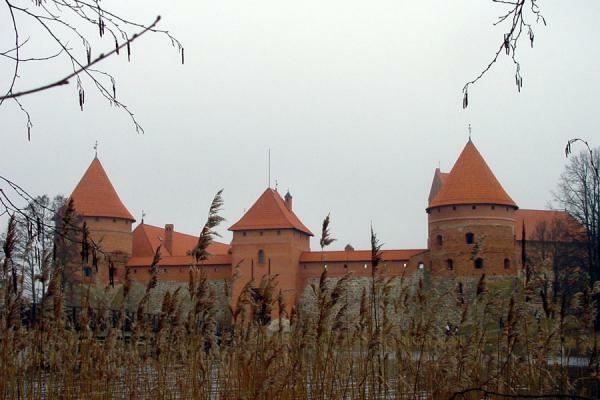 Trakai is a village built on a peninsula, surrounded by lakes on all sides. The village itself is attractive especially in the northern part, where you can find typical wooden cottages. 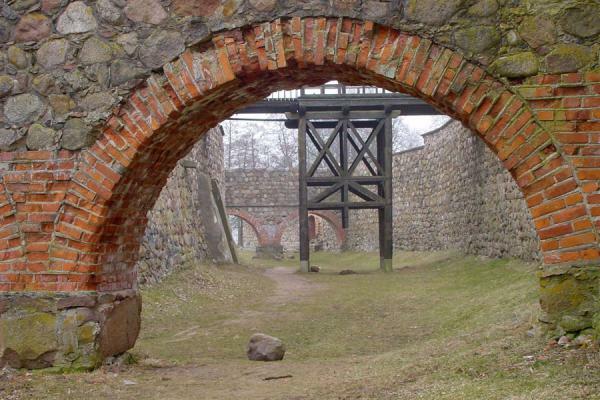 Around the 14th century, Vytautas brought the Karaites here, a sect which he used for his own protection. 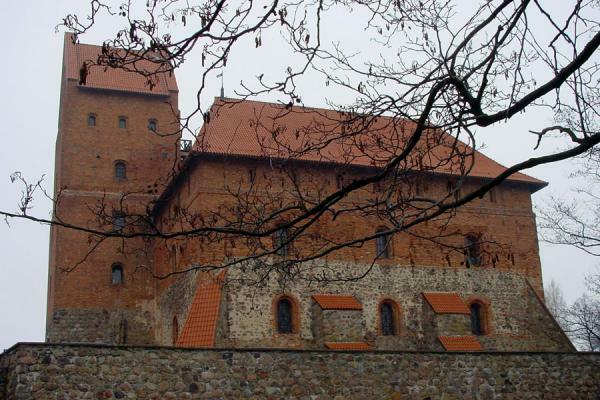 Vytautas himself constructed a castle on a small island in the lake where it was virtually impossible to conquer. 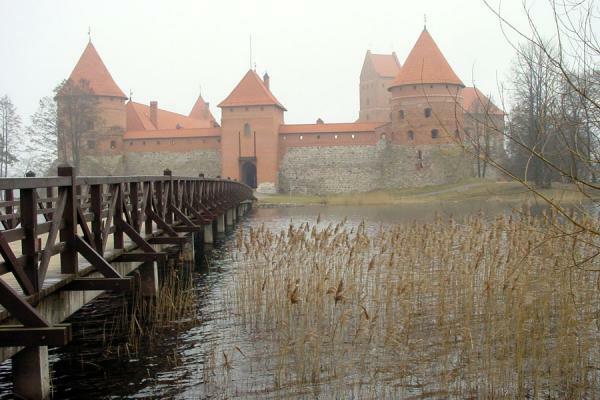 When I visited Trakai late March, it was still very cold, foggy weather, and parts of the lake were frozen. Walking across the footbridge (how much must Vytautas' enemies have wished for just such an easy way in! ), my fantasy started to work. This became even more so when I was walking around the castle. The very thick walls, the openings in them, the virtual impossibility to conquer this castle, made me think about medieval princes on a mission to take away a beautiful princess from one of the towers. How they would lay out their "cunning plan", throw down linen strung together, and escape in a hidden boat. Reality was, that there was no one around, the well-restored castle just continued floating in the lake. Or so it seemed. 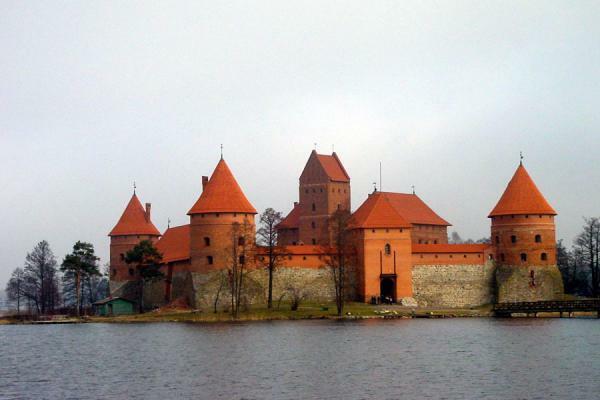 Personal travel impressions both in words and images from Trakai Castle (). Clicking on the pictures enlarges them and enables you to send the picture as a free e-card or download it for personal use, for instance, on your weblog. 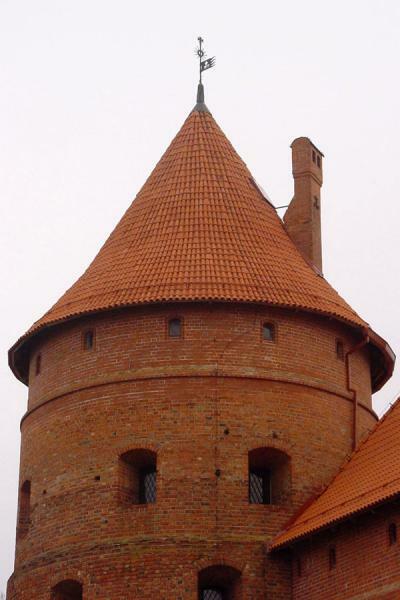 Or click on the map above to visit more places close to Trakai Castle. 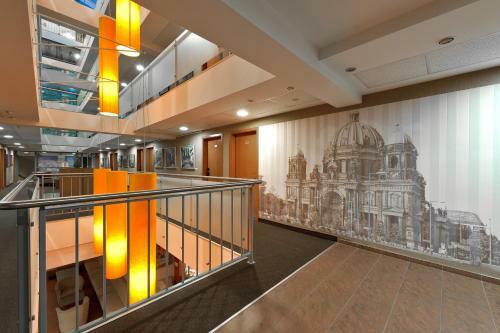 Book a hotel near Trakai Castle, Lithuania with low prices for all kinds of hotels - without reservation fees.